I’m 25 so I’ve already sat through many lectures as a university student, college student and the conferences of music festival. By far the most inspirational has been Johnny Cupcakes‘ talk during Toronto’s NXNE. I could be biased because I am a huge fan of the T-shirts myself and it has become a large part of my own personal branding. However, I’ve seen a lot of my favourite bands, labels and companies speak over the years and few have come close to being so memorable, not to mention hilarious. I had not planned to go to many panels this year during NXNE. I didn’t even look at the schedule. 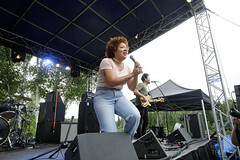 I thought I would need the sleep or extra time to edit photos. 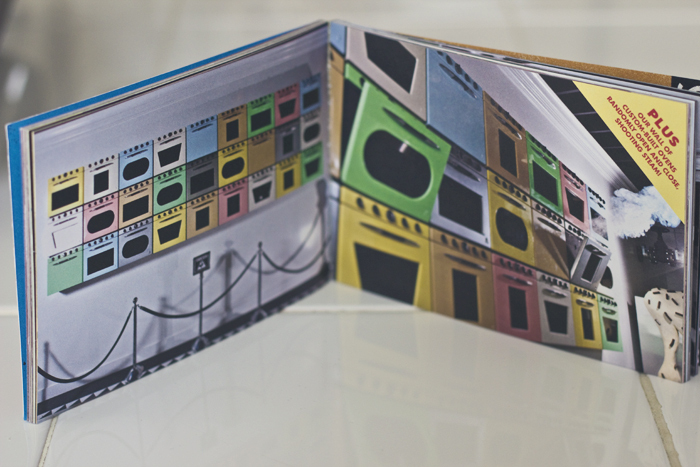 However, I ran into @plafleur and she had saved me this Johnny Cupcakes history booklet she found on the ground. Apparently it was in all the delegate bags (with exception to the media ones). I then looked at the program and discovered THE Johnny Cupcakes was doing a panel. Of course I HAD to go. I didn’t really know what to expect. I’ve done festival conferences before and most panels just say what everyone else is saying (THE CLOUD IS THE FUTURE etc etc) or gloss over fancy points. Johnny Earle aka Johnny Cupcakes taught us to think outside the box, and showed us examples of how he has integrated this philosophy with his brand. 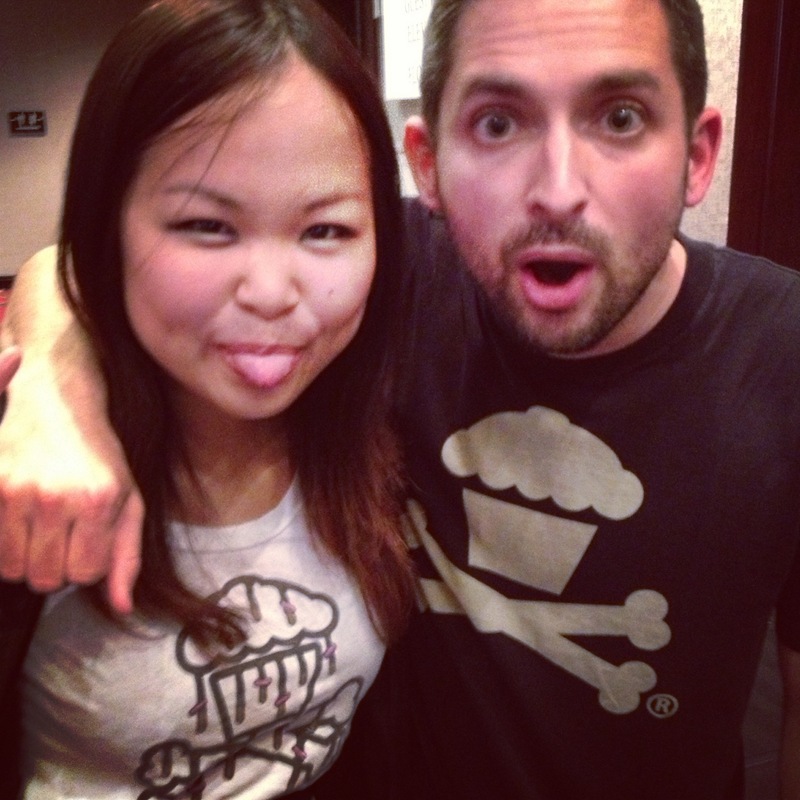 Johnny Cupcakes making his signature face and I! Johnny began by telling us his history. He told us how at a young age he tried to make money in different ways such as selling his father’s tools at yard sales (he got in trouble of course) and selling candy, lemonade, whoopee cushions and yearbooks. The name Johnny Cupcakes was something random that co-workers at Newbury Comics had given him. He played with the idea and that’s how the shirts were born. He began selling these shirts to friends and it spread by word of mouth. 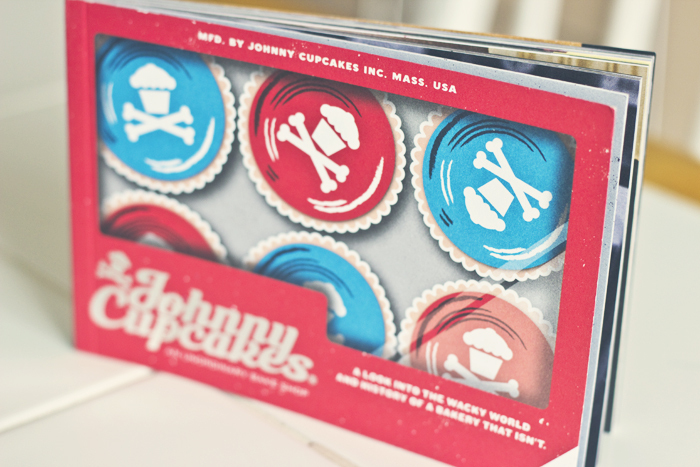 Johnny Cupcakes now has stores in Boston, LA, London and of course online, where they ship internationally. The stores all look like bakeries and smell like frosting. Everyday somebody walks in mistaking it for a place that sells food. Delivered packages look like presents and often come with trading cards. You’re meant to be treated like it’s your birthday. Johnny had set out to sell more than just cupcakes. He wanted to give people an experience and it’s a huge reason why he has been so successful. 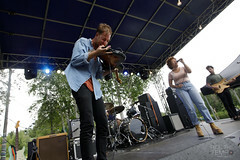 In fact, he even gave the audience members a glimpse of the experience. At the end of the lecture, he told us he had put little gifts under our chairs. When we reached down there was a little packet of stickers, buttons, candy and a trading card. He had even gone to the trouble of making sure we each had different trading cards so that we could trade with our neighbours. After the lecture, he hung around and took pictures with fans old and new. – Building a brand is hard work, Johnny Cupcakes mentioned that he doesn’t do drugs, drink or play video games. He had put all his energy on video games. He even hired his family to help. – Connecting with people is important. When he sold things growing up he always went back to the people who had purchased something form him once. Then when he started making T-shirts it was their word of mouth that got things started. – Small details make a big difference. 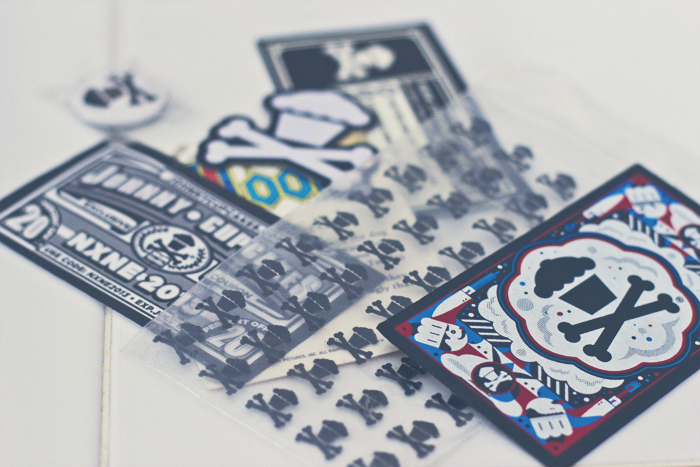 If you buy a Johnny Cupcakes the tag is an oven mitt. Online boxes are patterned and in-store ones look like cupcake boxes. – Name 10 things that make you unique. It’s good thing to brainstorm for both job hunters and brands. – Weird is Good. It gets people talking. 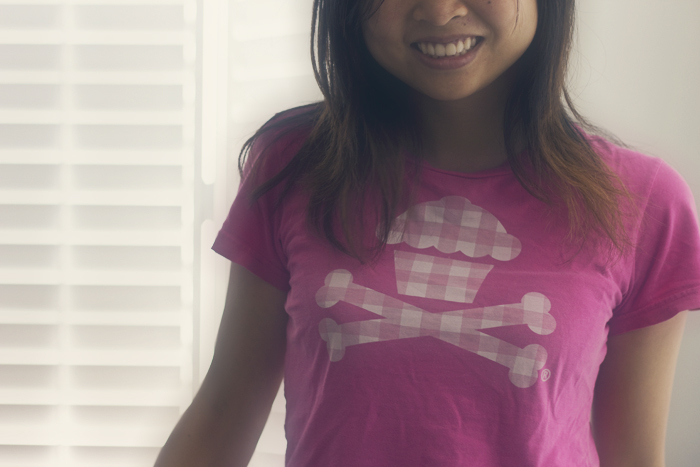 Johnny Cupcakes has sold breakfast themed t-shirts with breakfast, put shirts inside icing jars and much more. – Make things exclusive and limited edition because people like what nobody else has. Johnny had declined offers to mass produce his shirts because he didn’t want to be another fast fad like Ed Hardy T-shirts.